safe for the second time. The convenient selection options enable an enormous degree of flexibility so that these challenging circumstances which occasionally arise can be dealt with safely and intuitively. Reduction head. All screw variants are also available as long head screws (reduction screws). Slim and flat head design. A very firm connection to the instrument allows easy insertion of the screw. 52° angulation. To provide maximum flexibility and allow use under difficult circumstances, the VERTICALE revision screws are also fitted with the VERTICALE polyaxial screw head. 5.25 mm screw neck diameter. Lends the screw the necessary robustness. Quatro flanks. The proximal shaft section provides perfect anchorage of the bone in the pedicle. Revision thread. 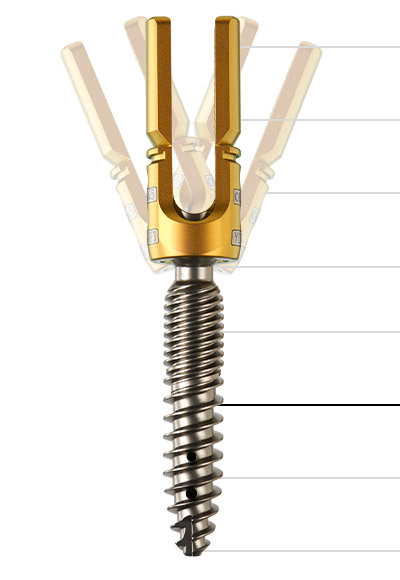 The enlarged thread fixates the screw securely in existing drill holes. Cannulated and fenestrated shaft. 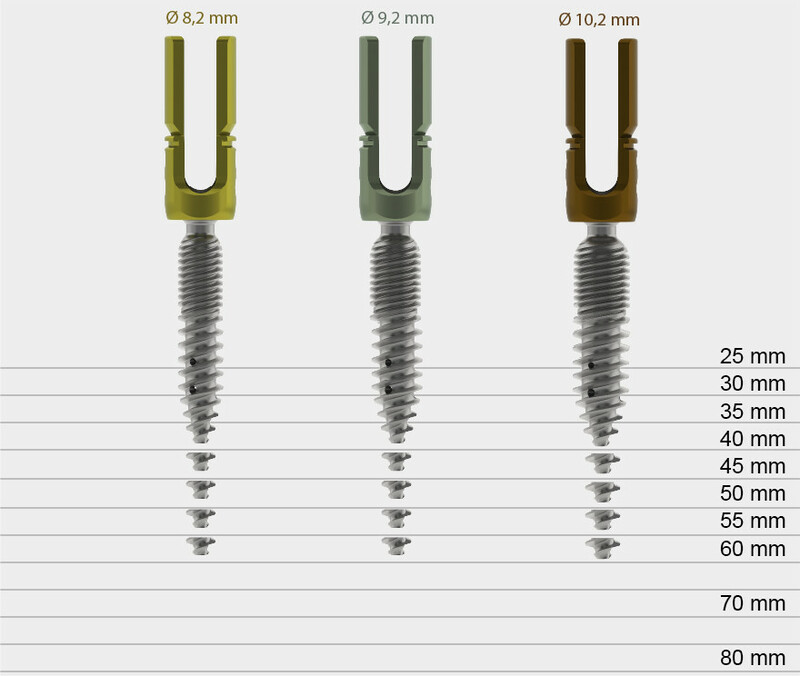 All screw variants are available with a solid shaft design. Self-tapping screw tip. The distal cut on the shaft provides good initial grip and supports screw insertion.